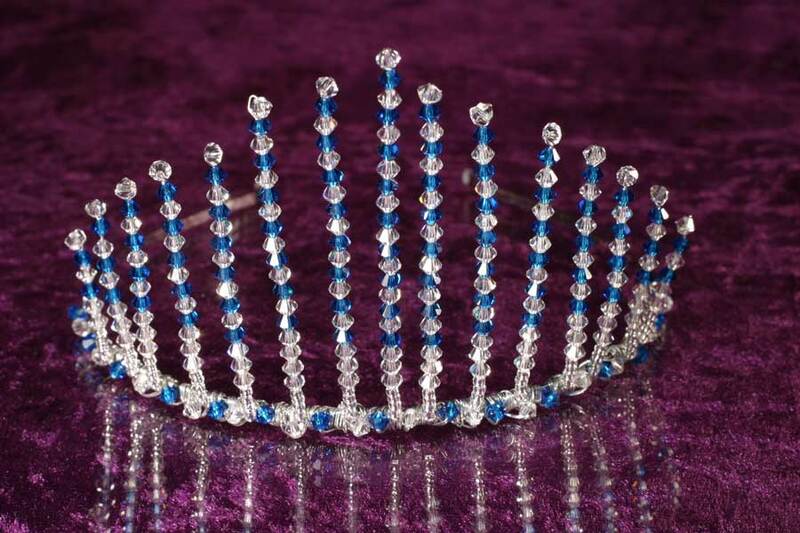 Beautiful bespoke tiara in Capri blue and clear 4mm Preciosa crystal inspired by the Russian Royal family in 1900. This tiara has blue crystal symetrically placed throughout the design to enhance the bridal theme. We have lots of colours and crystal sizes to choose from. Call us to discuss your requirements and budget.